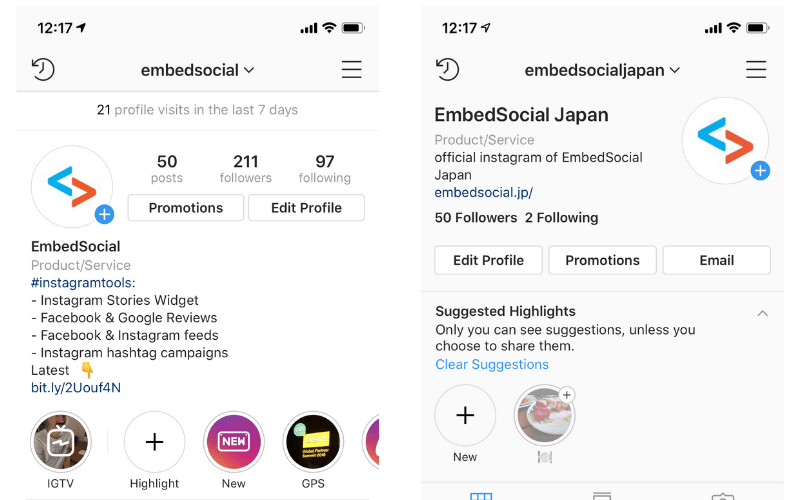 Instagram is rolling out new features regularly and if you want to pump up your Instagram marketing game, this article will help you to keep up. As we’ve experienced in 2018, Instagram is betting huge on the Instagram Stories and the IGTV formats. The statistics and case studies prove their popularity and we expect to see bigger adoption and more features for particularly these two functionalities. Related to this, start preparing with video capabilities and creative expertise that will adopt the spontaneous, and vertical format that is enduring on mobile. Your caption editing nightmare is finally over. 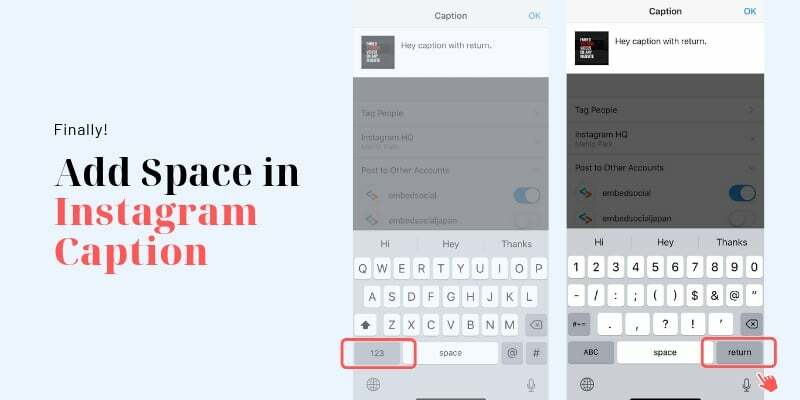 Instagram has enabled the ‘Return’ option in your iPhone keyboard that will allow you to add as many spaces you want while directly typing your photo caption in the Instagram app. To do this, just type the caption and tap on the numbers keystroke (shown in the image above). Once the numbers keyboard appears you will see the Return keystroke. Tap on it once or twice to get paragraph space and continue typing the rest of your caption. 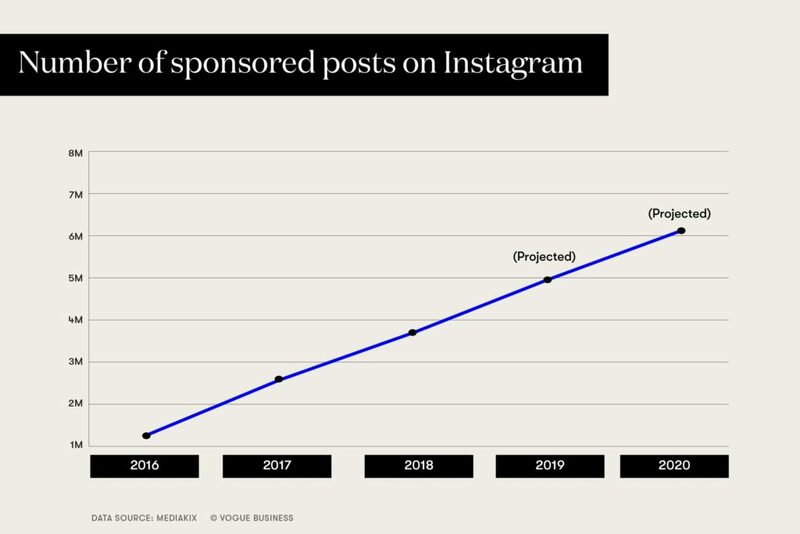 According to Vogue, on a journalist breakfast in New York, the Instagram team has introduced new tools for influencer marketing in their platform. These new changes in making the platform more influencer friendly are in line with the growth of this industry. Influencer marketing is projected to reach $1.7 billion in revenue this year and sponsored posts. Option to promote the influencer sponsored post – until now the posts shared by the influencers reached only their followers. With this new option, the brands can furthermore promote the post of the influencer and reach more people beyond the influencer’s network. More analytics for sponsored posts – brands will get tools to view analytics of the sponsored content that an influencer shared. By doing this, brands are protected from misleading screenshots or other manipulation if the results that the influencer activity brought for the brand. Expanding the “paid partnership” tag – this means that Instagram want to include influencers that do not have a huge following but are very good creators and can help brands reach a relevant, niche audience. Few months ago, Instagram announced that they were testing new layouts and designs of the Instagram profiles. The new layout is massively being rollout for the past few days and it looks like that we will start seeing more and more of this new design. The new change of the design emphasizes the user not their number of followers. And the number of posts is no longer displayed in the profile. 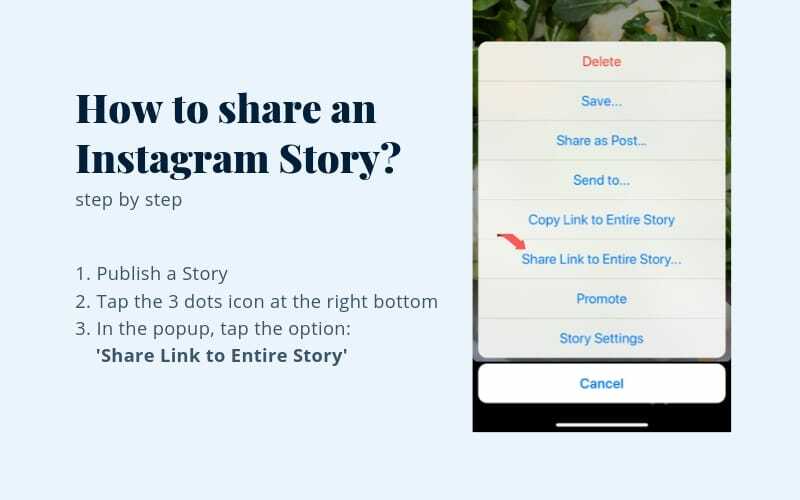 Till this date, if you wanted to create Instagram story ads, you would probably need to have a desktop, go to your Facebook ad account and from there create the Instagram Story Ads. But now, Instagram has made the ad’s creation very easy. You can use your mobile app, only! If you already have a Facebook Ads account connected with your Facebook Page and thus an Instagram account connect with this Facebook Page, you are good to go. 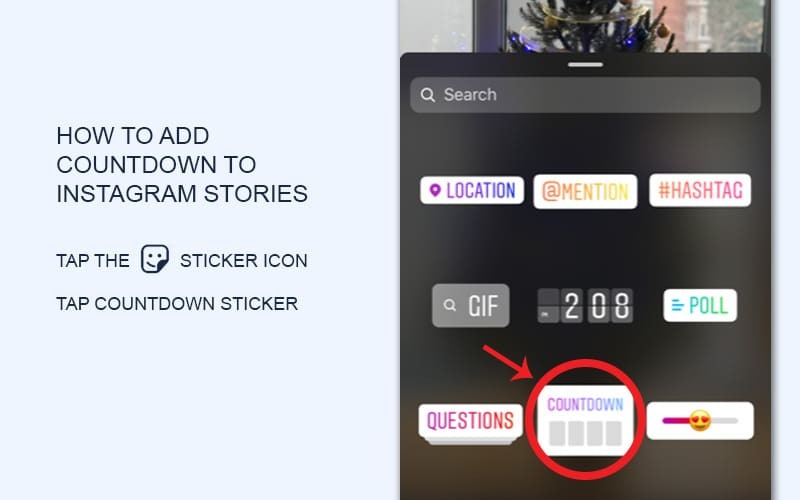 Instagram continues to bring interactions to the story format, and one of the latest features is the release of a Countdown sticker that brands can use to create teasers, share countdown for an event or special discount day that users can share in their stories or set up a reminder. The Countdown sticker functionality includes an option to add a title, a specific date and customize its color. To access this option, just tap the sticker icon at the top settings bar and click on the Countdown sticker. How followers can interact with the countdown sticker? 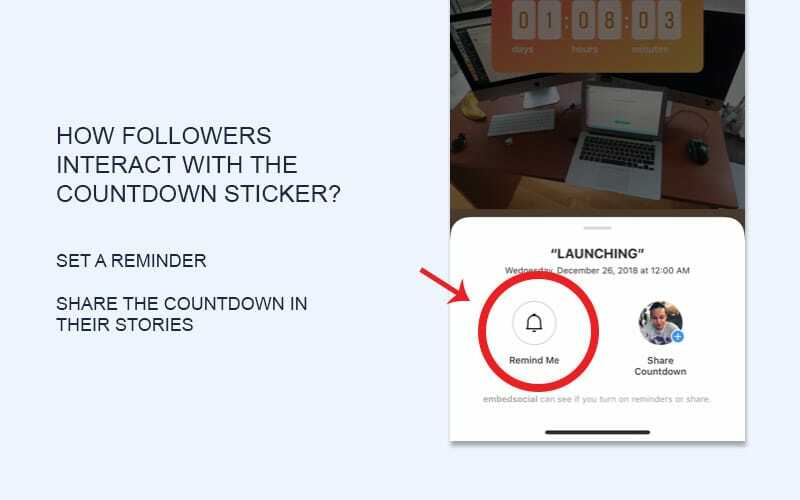 Once you share the story with the countdown sticker, your followers can tap on the arrow in the corner of the sticker and set up a reminder or share it with their stories. And the coolest feature is that when the countdown ends everybody that saved the remainder will receive a notification as a direct message. If you see this feature from a marketing perspective, it seems like an interesting opt-in option that can help you understand who is strongly interested in the campaign you are launching and having the reminder option gives you an additional trigger about the intent of the followers in their strong interaction with your brand. 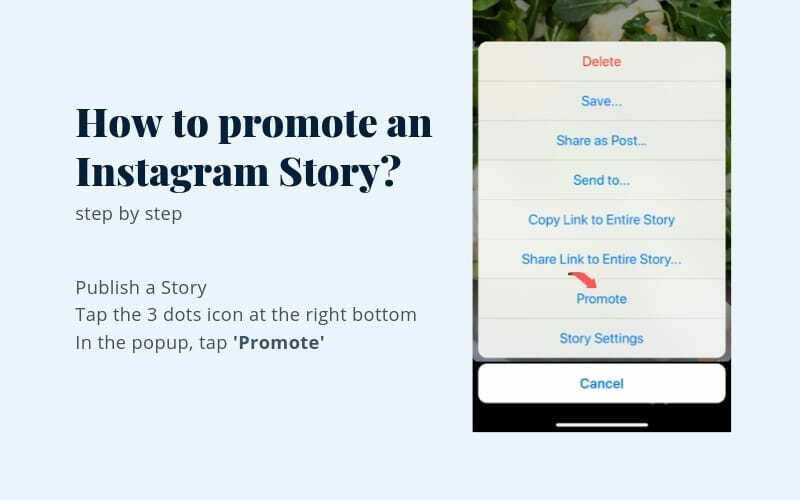 This is not the newest feature but it is good to consider it when planning your Instagram campaigns. Similar to the Countdown sticker, Instagram is releasing complex functionalities in the Stories in order to enhance the interactions with followers on a totally new and different way. The new Questions sticker can do this and much more. So what is the Questions sticker? It is an option to ask a question in a story and people that view it can respond and write their answers. How to view the answers? Just open your story and swipe up. In the viewers’ section, you can see the username who answered and his/her response. 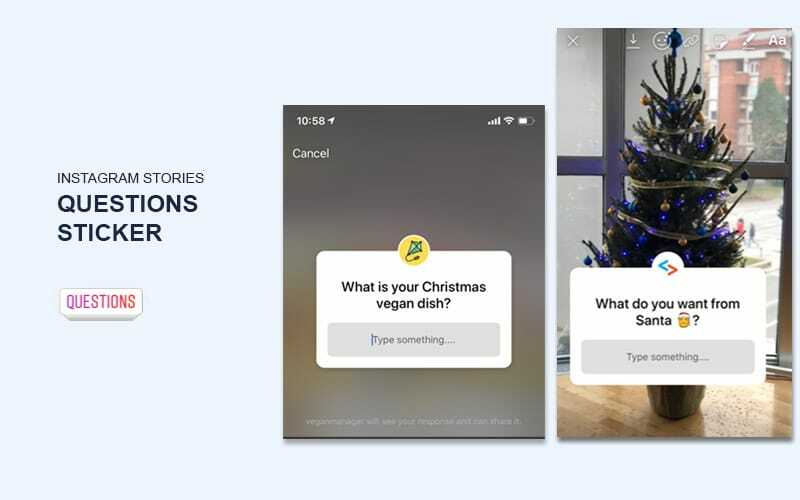 Once you view the answers you can share them in your story by taping Reply that will open a new screen to take a photo or video and post it in the story with the user’s answer. Please note that this functionality will not show the username of the person but just their response text. How to use the Questions sticker? 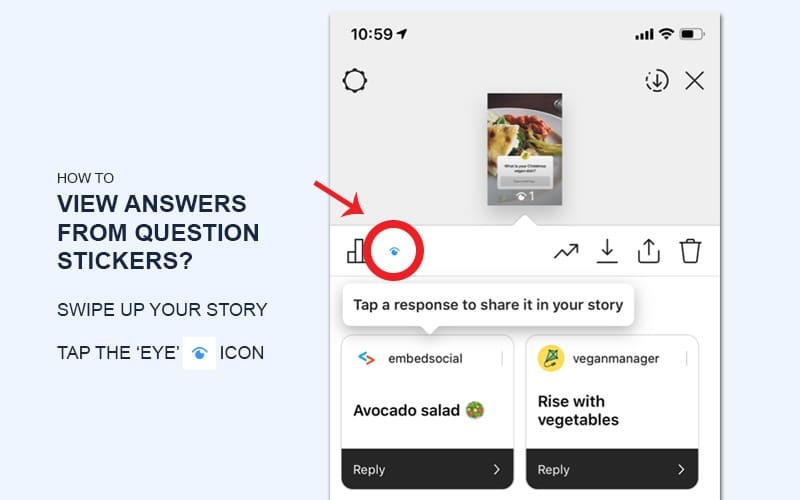 Enhance interaction in Instagram LIVE – if you run a live video tutorial or some sort of a webinar, the Questions sticker can help you collect questions from the users that you can answer in the live video. Insetivise for interaction – use the questions to organize a giveaway or a contest, so you will boost the interaction and reward the most active followers. 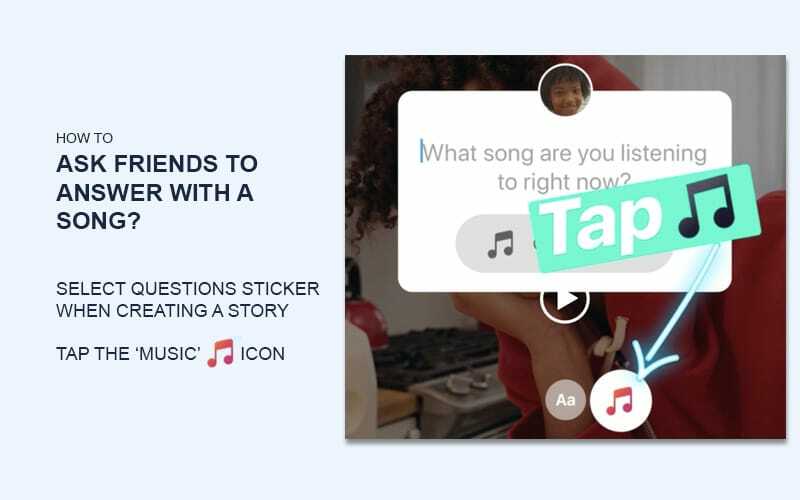 Recently Instagram enhanced this sticker with a new option to ask a question that requires an answer with a song. The answers with the songs can be viewed in the same viewers’ section of your story where you can tap and play the song. If you share the favorites in a new story the song will play in the background. Additionally, new video effects are available in the camera options, where you can film a video and by using the ‘Music’ options you can add filters that respond to the beats in the song. Please note: we will continue to update this article, as soon as new Instagram features are announced.